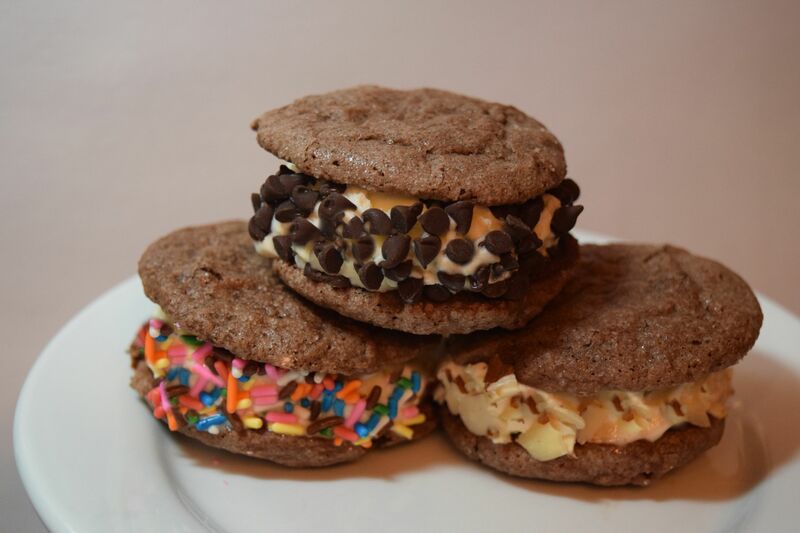 My two favorite treats are ice cream and cookies so it’s pretty obvious how much I like this recipe. My most vivid memory of ice cream sandwiches goes back to my high school days. Those of you reading along who went to Headland can verify my story. 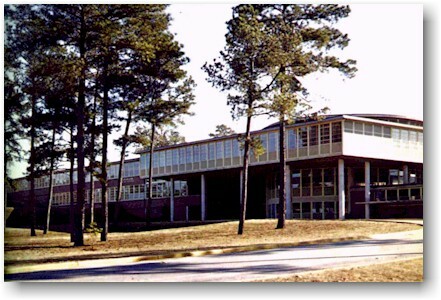 Back in the day we had three serving lines (the cafeteria was that curved portion of the building.) One was for hot dogs/hamburgers and fries and the others had “real” food such as fish sticks, spaghetti, or Salisbury steak which was, in fact, a hamburger without a bun. Dessert was something pretty bland like canned peaches or a square of jello with a squirt of sticky whipped topping. They did have ice cream for sale for 25 cents but in order to get a cherished “ice cream ticket” you had to buy a lunch. But, what if you didn’t want a bunless wonder lunch? Or maybe your brought PB&J from home. No ice cream for you! This policy reduced us to beggars. As our friends would go through the line, we would bombard them with…”Are you getting ice cream today?” If the response was no, then about 10 people would pounce on this hapless student asking…”Will you buy me an ice cream ticket?” If you were the lucky one to find someone who actually didn’t eat ice cream at lunch, and there were a select few, then you could have ice cream in spite of the fact that you turned down the cafeteria fare. It’s a cruel world but some of us did learn to navigate through the ice cream maze of cafeteria politics. Today at my house, it’s ice cream for everyone even if you didn’t eat your dinner. Mix together the shortening, sugar, egg, and vanilla until well-blended. In a separate bowl mix together the cocoa, baking soda, and salt, Add to egg mixture alternately with the milk. Refrigerate for 1 hour. Preheat oven to 375 degrees. Place by tablespoonful on ungreased cookie sheet and use a glass bottom dipped in sugar to flatten cookie dough to approximately 1/4 inch thick and about 2 3/4 inches in diameter (Just smash it.) Bake 7-8 minutes. Remove from oven and allow to cool on cookie sheet one minute. Remove to cooling rack and cool completely. Fill with ice cream or frozen yogurt. Roll edges in nuts, sprinkles, or candies. Return to freezer to harden a few minutes before serving. You can also make them ahead and wrap them individually to freeze. Don’t forget, you are what you eat! 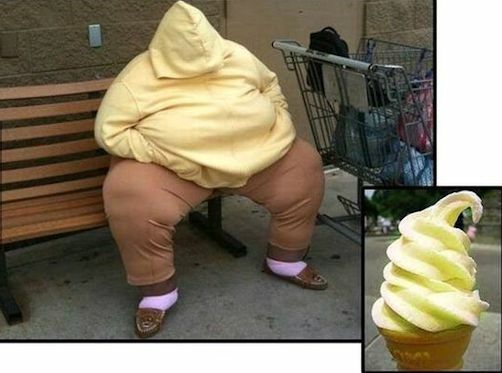 So go easy on the ice cream!